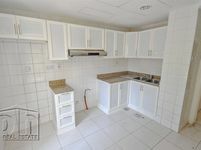 5br villa - 6 cheques - Al Barsha first. 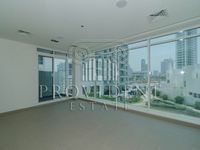 Just Property website displays a wide selection of villas for rent in Dubai scattered across different locations and sublocations and varying in all characteristics. It’s known that Dubai always seeks to retain the highest bar in luxury and quality living standards, this is apparent in the quality of facilities available to residents including transportation, roads, commercial venues, recreation, real estate and many other. This concept is vividly apparent in the type of villas displayed for rent in the emirate. By quality measures, Dubai villas offer the highest standards of good living, especially when compared with other properties in UAE or the whole GCC region. So if you are wondering why live in Dubai, the answer resembles in the utmost enjoyment of the best facilities, services, and recreational venues in the whole region. Dubai is populous with a variety of nationality creating a rich and cohesive society unique of its kind. It’s the second richest emirate in UAE after Abu Dhabi and it’s a vibrant business hub where numerous multinational conglomerates have opened venues to take advantage of its business-friendly environment. Unlike other GCC states and kingdoms, Dubai’ largest bulk of revenues isn’t generated from oil production, it stems from the emirate’s active real estate market and tourism activity. The city teems with many attractive tourist destinations. Over the last decade, the young city has successfully established many wonders like Khalifa Tower, Dubai Mall, Ibn Battuta Mall, and many other venues which grab thousands of visitors every day. Naturally, this existence of such wonderful sights added more weight to the city’s gravity and reflect positively on its real estate reality. More large-scale residential, commercial, and mixed-use projects were launched. Dubai projects had a special signature resembled in the lofty designs, stylish finishes, and the kind of facilities and amenities provided. Many of the launched towers and compounds were designed by the world’s top design houses, they were also executed in accordance with the most recent construction updates. No matter how attractive other GCC cities are, Dubai remains the top in respect of quality and profitability of the property. The available villas for rent in Dubai are found in a wide variation of type, location, size, and quality. However, they share some traits which are the connectivity to public transportation networks, the availability of the needed facilities to ensure a completely comfortable living style, and the sophisticated interior and exterior designs. 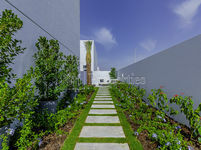 There are free standing villas like in Mirdiff and Jumeirah, and other branded villas in closed compounds like The Spring villas. Villas in closed communities are definitely higher in price, but they offer private gardens, swimming pools, special garage, and access to many amenities like club, spa, commercial center, and other. Between the also famous villas communities in Dubai are Silicon Oasis, Deira, Al Rashidiya, and Al Barsha. JustProperty designated a special page for villas for rent in Dubai combining a diverse set of villas offered by the emirate’s most credible and professional real estate agents. The displayed villas differ in regard of type, price, and location to meet all users’ demands. Users can find lofty sea-looking villas found in closed communities and stand-alone villas in the city’s suburbs. To facilitate users’ search process and make it easier for each and every browser to find his villa, JustProperty website made the listing page design more user-friendly and organized the properties arrangement to be clearer for searchers. Once the user finds the villa that best suits his demands in respect of price, location, and characteristics, he can contact the agent either through telephone number or email address. Renting a villa is never a tricky task, the tenant just has to pay the defined deposit and security in addition to submitting his personal identification documents like visa, ID, and passport. Moving process won’t be very tiring also as there are many moving agencies offering their professional services in Dubai. So, shifting luggage and furniture isn’t going to be very complicated, just call any of these moving agencies, and they will undertake the whole process for you.